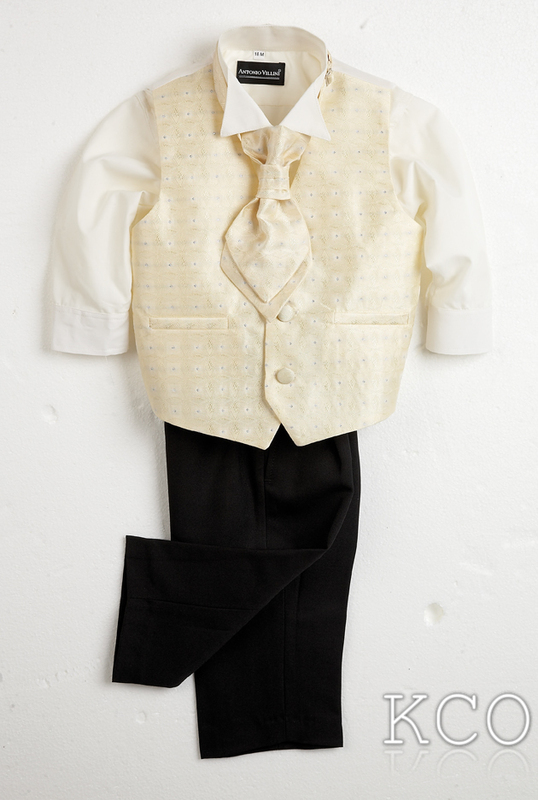 This classic Page Boys Suit comprises of a waistcoat, a cravat, trousers and shirt. This boys suit has a traditional appearance so it is appropiate to be worn on formal special occasions such as formal weddings. To complete the outfit, add a pair of formal boys black shoes from kidsclothingonline. This is another one of the fantastic boys suits from the Antonio Villini collection.